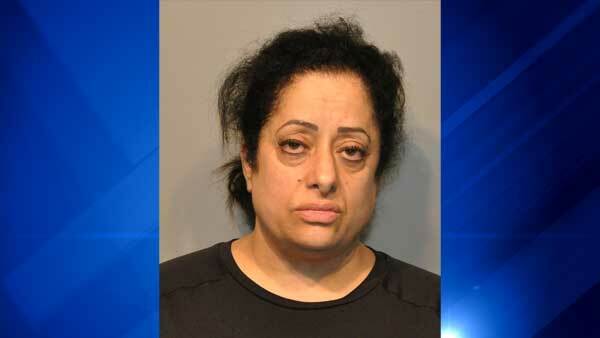 PALOS HEIGHTS, Ill. (WLS) -- A Palos Heights woman has been charged with stalking twice in two years. Taghreed Abusharif, 51, of the 12600-block of Massasoit Avenue, was charged with stalking in April 2013. She was sentenced in August 2014 to 180 days in jail, two years of probation and a permanent order not to contact the victim. The victim recently called police and said Abusharif allegedly "engaged in conduct which caused the victim to fear for his safety, as well as suffer emotional distress." Investigators looked into the report and arrested Abusharif on Wednesday. She was charged with two counts of stalking and aggravated stalking. She also faces a misdemeanor charge for violating the no contact order. Abusharif is due in bond court on Thursday.